347. Wilkin P, Davis A, Demissew S, Etherington T, Goodwin M, Heslop-Harrison P, Schwarzacher T, Willis K. 2018. 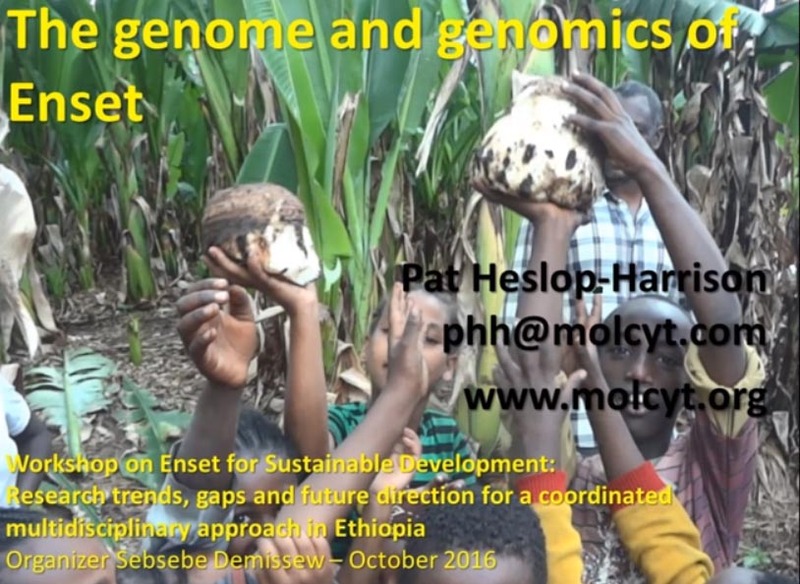 A perspective to enhance innovative research with emphasis on varietal diversity and sustainable utilization of enset (Ensete ventricosum). Ethiopian Journal of Biological Sciences 17(Suppl. ): 201–209. Key words/phrases: Diversity, Enset, Food security, Livelihoods, Resilience. – f. Relationships with mycorrhizal fungi and other soil organisms. This entry was posted in Conferences, Musa, Publications, Species and tagged Africa, banana, biodiversity, breeding, crops, diversity, enset, ensete, Ethiopia, food security, genetics, genomics, livelihoods, Musaceae, plant breeding, ploidy, polyploidy, Resilience, staple food. Bookmark the permalink.